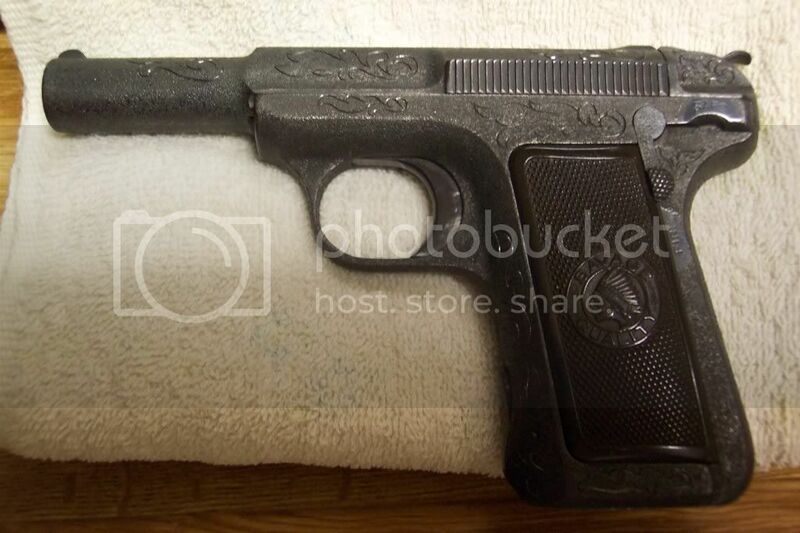 Graham,It looks like pitting,some one left this pistol in a bad place never saw a gun sandblasted after engraving.J.J. 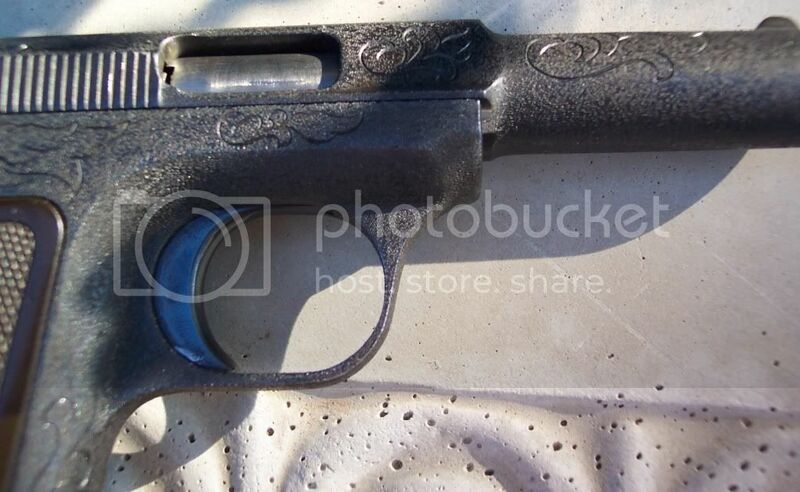 Graham,You may be right,sandblasted and then it was reblued.Over the years I've seen some badly abused firearms.J.J. COLOR CAN BE SEEN UNDER THE SAFETY LEVER WHEN IN THE UP POSITION. HATE TO THINK WHAT THE INSIDES LOOK LIKE. It appears to me that it was sand blasted or something to the sort, prior to the engraving, then it was blued. I say this because the engraving cuts are not pitted or sand blasted, they are still somewhat brite if you look closely. this was never a finish that was used by savage on any of their older firarms. I say it was stippled for what ever reason then engraved.... as noted before the safety position lettering is left smooth.